Asking Google to tell us things has become a regular fixture at Test Pit Towers ever since we first reviewed the Google Home. However, as good at Google's AI assistant is, we couldn't help but feel slightly frustrated by not being able to 'see' the stuff the smart speaker spoke about. That all changed when we received the new Smart Display from Lenovo; a Google-loaded smart speaker... with a ten inch screen. 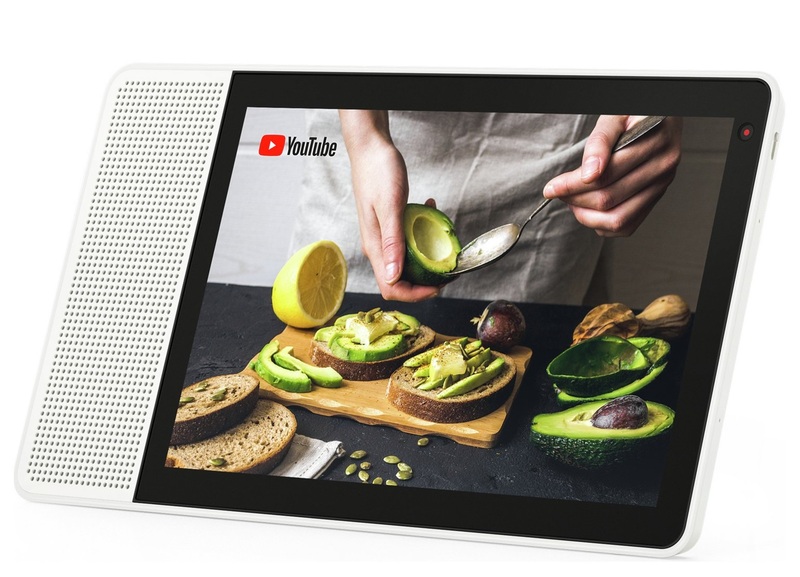 Available in either the aforementioned ten inch size, or as a slightly smaller eight inch, the Lenovo Smart Display has been designed to act in a similar manner to existing smart speakers, but possesses the added benefit of a touch screen. You can still utter 'Hey Google' and ask for the usual help, like answers to queries, setting reminders and controlling other smart home kit, but now you can ask to see stuff, too. Saying, 'Hey Google, show me a video of...' is extremely liberating, as the display will open up YouTube and find a relevant video; either to auto-play, or to allow you to select one of the number found with a tap on the touch screen. 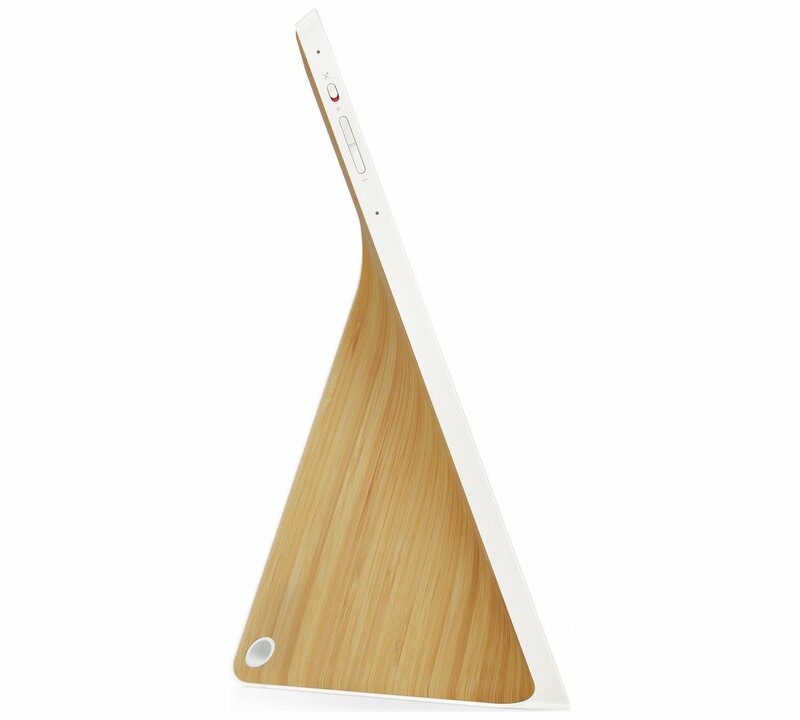 It terms of the device itself, the ten inch model is a unique shape, having a mostly slim screen section which bulges out to the rear at the left side to house the speakers - which are impressively loud and clear. There is a simple power lead in the back, but no other ports at all. You do get a volume rocker switch (but obviously volume levels can be controlled vocally) and there is also a switch to mute the mic and to cover the camera. So if you're a bit paranoid, you can close off those inputs. 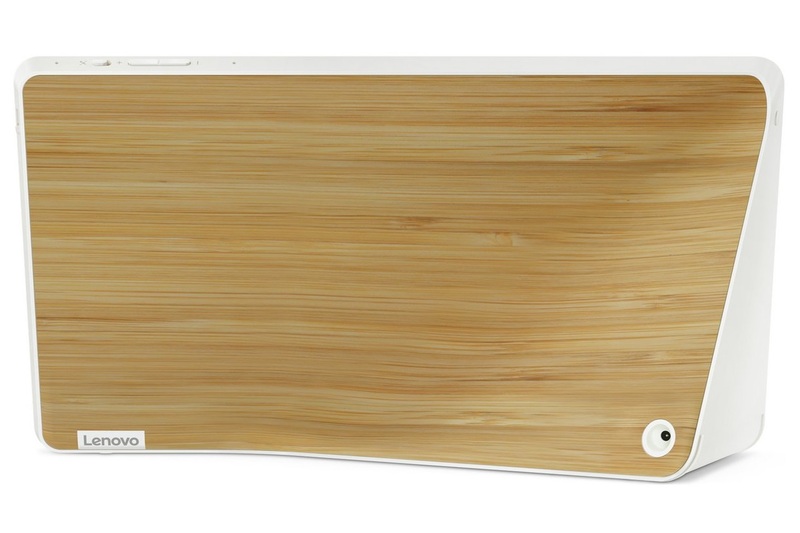 Fair play, Lenovo. 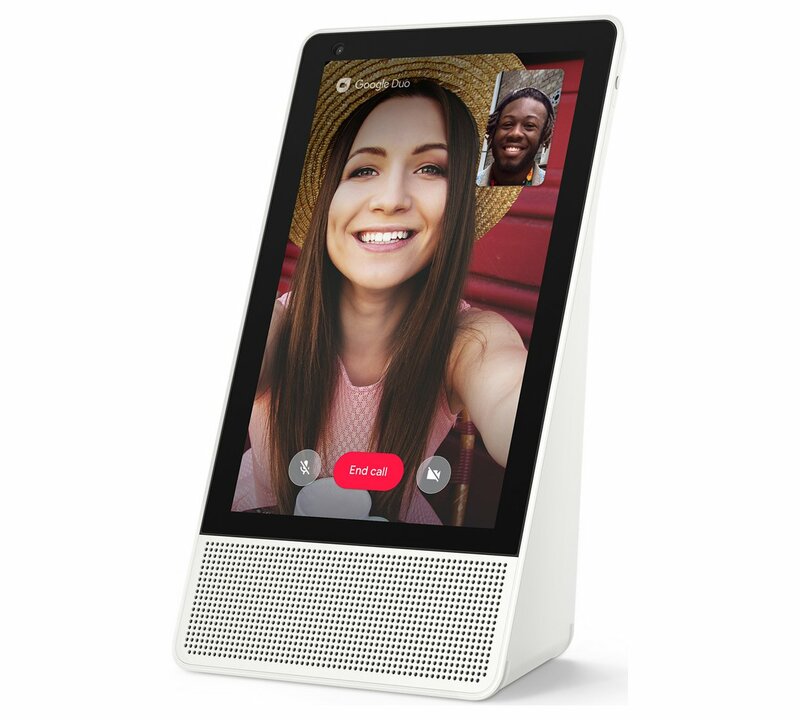 Speaking of the camera, the Lenovo Smart Display can be used to make very clear and fast video calls. The entire unit can also be tilted to stand vertically - again, clever design at play with the overall shape - to better chat to people on mobile. That's something you'll end up doing as, being a Google-running gadget, it uses the Duo video caller, which is actually pretty good once you give it a go. Other than that, you might find you use it more for occasional, background media consumption. 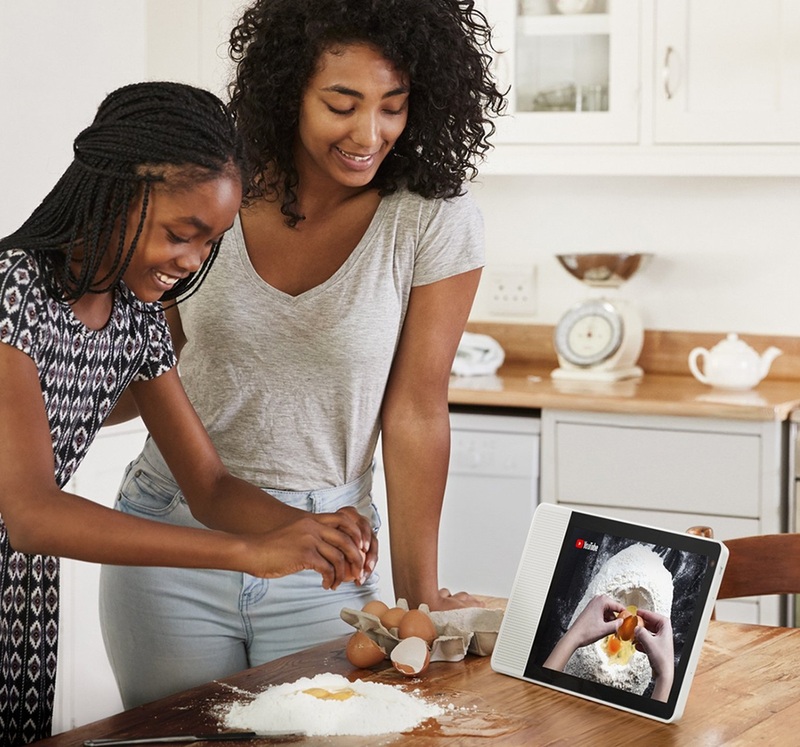 We first had it installed in the kitchen, and found it was great for calling up recipe and cooking videos, and then for general YouTube watching while doing the dishes. The kids, meanwhile, loved how they could use it to instantly call up videos they really liked, and also as an education aid, for looking at pictures of things (Hey Google, show us a picture of a dead spider!). After a while it became a permanent resident of the dining room, offering the kids an extra display for fun, and as a smart speaker for the grown ups at dinner time. 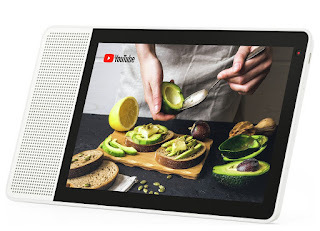 As this is a Google device with a screen, you can access YouTube music, something the likes of the screen-less Google Home can't yet do, weirdly. So a great screen, coupled with powerful speakers and a huge wealth of functionality for the modern smart home, the Lenovo Smart Display makes perfect sense as the next gadget for tech fans to invest in. Yes, you could set something similar up yourself with a tablet running the Google assistant, but the built-in speakers, and the overall design, make this a real contender.